With the huge rise in smartphones, Android has become top mobile operating system. There is big increase in Android hacking applications for both devices rooted and non-rooted. Here we have made a list of latest top best hacking application for your Android device. These applications can be used by ethical hackers or technology enthusiast. In our this article, we have included various famous phone and Wi-Fi hacking applications, then you can download any Android hack app according to your needs. Below we have listed all the best Android hacking applications of 2019 for your beloved smartphone. We have given a short description for each application with their ratings and download link, so you can quickly and easily download the application and use it. 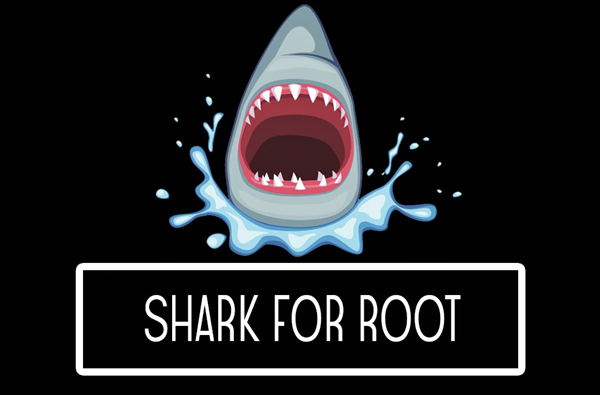 If you need to root your Android phone first before using the hacking tools, you can refer to this root tutorial. Tip: If you lose any important file on your Android during the root process or any other reasons, you can use this Jihosoft Android Phone Recovery program to scan your phone for the lost/deleted data even without backup. 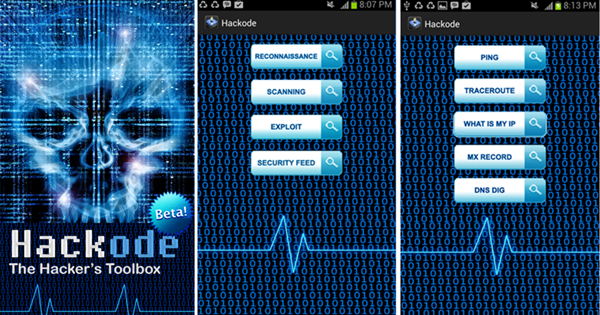 Hackode is one the best hacking application. In this application you will find multiple tools for ethical hackers or IT specialist. Hackode contains three modules in application, name as Security Feed, Reconnaissance and Scanning. In this application you get different functions like SQL Injection, Whois, Scanning DNS looking, IP, MX Records, DNS, Google hacking, DNS Dif, Security RSS Feed, Exploits etc. This application will never ask you for your private information to work. The AndroRAT stands for Android and Remote Administrative Tools. This is a totally free hacking tool and introduced long time ago in market as a server application. This great application allows you to control on Android system remotely and get out the information from that. You need to boot your Android phone to access this application on your device. By call and SMS services you can also trigger the server connection. 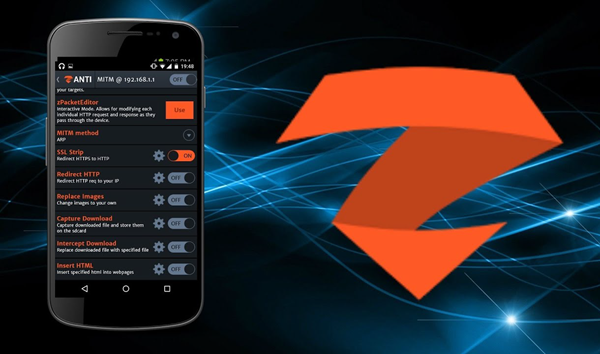 zANTI is a great hacking app for Android, which is introduced by Zimperium. Software contains many tools, which can be used for multiple purposes like penetration testing, etc. This is an amazing testing toolkit, through which security experts can easily scan network. IT experts can use this amazing toolkit detect multiple malicious techniques. Application contains different types of modules like network mapping, port discovery, sniffing, packet manipulation, DoS, MITM, and much more. cSploit is an advance tool which can easily specify local hosts, find week signals and their exploits, easily crack WiFi passwords, installs backdoor and much more. 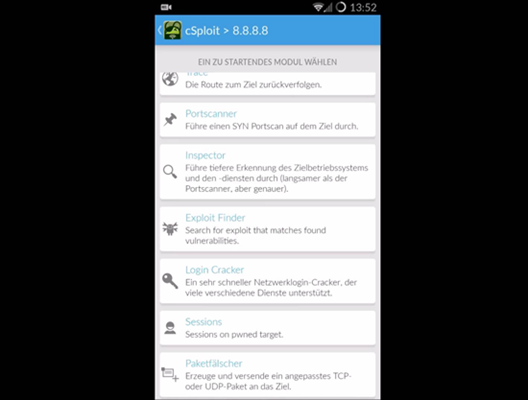 Due to these advance functions cSploit calls itself most advanced IT security toolkit for Android OS. You can use Faceniff for many advanced and cool applications and hacking purposes. The application gets information by using cookies from WiFi network and allows the hacker for unauthorized access to people’s account. If you want to hack social media accounts of any user and want to keep track of his/her activities using any hacking site then simply use Faceniff. You can easily control sites like Facebook, Twitter, Instagram, etc., and control them manually using Faceniff. You can use Faceniff for having access to another person’s personal account with the help of Android devices. You can easily customize and make changes in the Android phone to use it for hacking the calls and sites. Basically this advance tool work as an traffic snipper and supports WiFi, 3G FroYo tethered mode. If you rooted your smartphone, you can also use tcpdump command. This application is also an advance tool for hackers and security experts. This great application specially design for security analysts interested in playing with Wi-Fi networks. It supports almost every website and service and the application can easily hijack any web sessions through network. As you open the application, it start acting on router, which monitors all WiFi network traffic and start fetching information from active profiles. You can also snoop LinkedIn, Facebook, Twitter and other social handles of other people’s easily. Droidsheep Guard is an advanced application which you can download on your Android system for hacking the WiFi network easily. You can use this application to hack Snapchat, Amazon, Facebook, eBay, LinkedIn, and many others. You can enable snap to disable the target WiFi network as per your choice. You can also use this site to provide a security system to your network system. You can easily adjust and personalize its settings and searchability on the main page. This is another top hacking application. By using this application you can easily get multiple range of outcomes about hashes for the network traffic, phone calls, SMS and APK package, information leaks with the help of different websites. 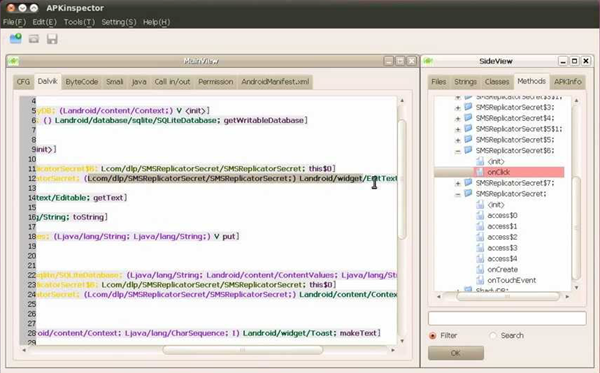 The application also allows you to visualize the behavior of an Android app package. It is an application which allows its users to do reverse engineering tricks. By using this application user can easily get graphic features and other functions for deep insight. Users of this application easily get source code of any android application and also can visualize the DEX code to erase the credits. This top listed hacking application is a network mapper application which can be used to derive all the information about the target device and network. It works on both devices rooted and non-rooted. It is featured with advanced scanner tools which helps the user to detect all the information easily. This application is available for Windows, Android and Unix device. It is free to use a security tool which you can use to keep your network safe and track the devices connected to the network. You can easily access the site using its safe and simple interface. You can easily detect any unauthorized device connected to your network and then block them. 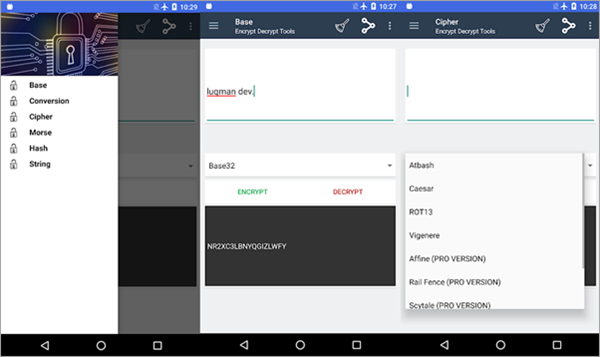 If your are a new learner in Android hacking, than you can learn many things from this application. You can discover more about this site by using it. If you want to hide your identity while browsing then Orbot is the best Android hacking application to be used. Basically, it is a proxy app developed by the Tor Project which secures the IP address of the user giving independence to navigate the internet. Tor has done many works for the privacy of the user from the cyber surveillance to protect the user’s identity and confidential information. This apps works on the principle of encryption and hence protect the user’s internet traffic from the other networks of computers operating around the world. Orbot is capable to generate a secured and private mobile internet connectivity for the user. You can browse, send messages through instant messaging apps and send emails without getting your IP address to be visible to the internet world. It is compatible with Android devices. It is also capable to torrify the TCP traffic transparently. However, this feature is only available for rooted Android devices. Orbot is also supported by LibEvent and Polipo which is a web proxy server. You can avail all its features for your Android smartphone for free. It allows the users to access it in the VPN mode as well. You can download Orbot from Google Play Store or can download its APK file by direct downloading from any site. The internet has completely changed the world. It has become the necessity of every individual that they are looking for free internet sources. At such a situation, both protection and hacking of WiFi network are of great importance. 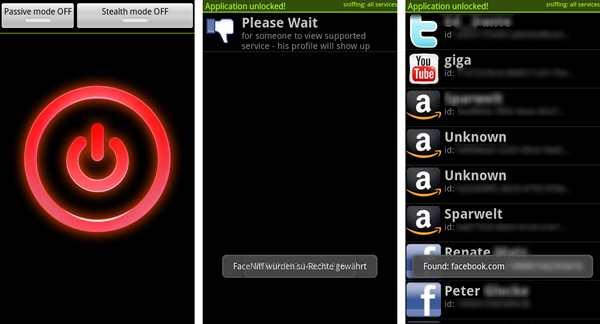 Fling is one of the high-rated tools which is used for WiFi security. It is available for free and is very quick responsive in operation. Fing acts like a scanner to find out the connected devices to the user’s WiFi network and also used to locate the device. Moreover, it is featured with the ability to detect the intruders, protect the network from any cyber risks, troubleshoot network problems giving the best performance of the network. It is specialized with many tools which are used to complete all the mentioned operations. It is an aid for network security acting as a WiFi scanner and port scanner for DNS lookup, ping and service monitoring. 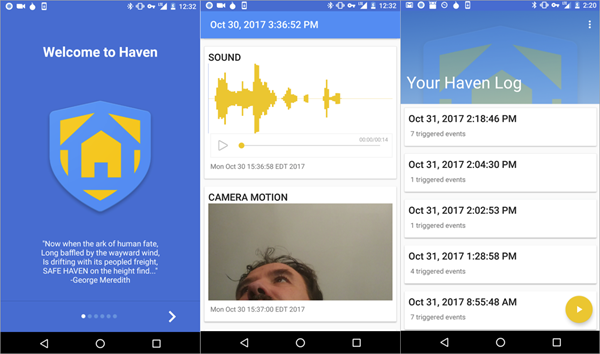 Haven is a powerful Android application to serve the privacy and security of the user. It has amazing tools to maintain private spaces and areas without looking into the personal data or connect it to any third-party server. Basically, it is based on device sensors which are used for the security and monitoring of the device. If the device is at risk of any intruders and any unknown guests, it warns the user by giving the sign. Its service is available for free for Android users. This app generally turns the flashlight, sound or light to bring the attention of the user. It is very good for professionals like journalists and human right defenders. It is a great source for protection which is organized using the mobile sensors and other such tools. It has also put its contribution to protecting the user’s information and data like Tor and Signal. You can also check your internet speed and navigate through the details of the network using this application as well. SSHDroid, developed by Berserker, is an SSH implementation which can be used for Android devices. Using this tool, you can connect your mobile phone with your computer and then bring out the command or do editing using SFTP, Nautilus(for Linux), WinSCP(for Windows) and Cyberduck(for Mac). It has both a free and paid version. This tools can also be used for transfer files and root the device. It is beneficial for connecting the device to the SSH client and then operate the required changes safely. You can also check the service status on the dashboard of the application. It ensures the maintenance of security and privacy of the user as well. As the name suggests, this application is based on the encryption of the data and hence ensure the privacy of the user. Developed by Luqman Dev, this application serves its features as an Android app for free to its users. You can secure your private message or data by enabling the encryption mode and then decrypt it back when you want to use it. Encryption is a very popular way of time for data security and privacy. It converts the data into some unreadable format which needed to be decrypted back to be read again. An algorithm is set for encoding and decoding the data. A secret key is used for the safety of the data and this system is widely used for keeping the digital valuable data safe. You can use this application to keep your data safe from cybercriminals as they can’t access the encoded data without the secret key. It is both useful for personal and professional usage. The sensitive data shared over the internet can also be protected using this app by encryption. 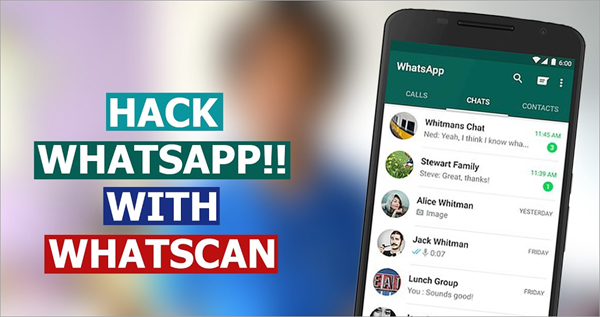 Whatscan is a WhatsApp scanner which can be used to get access over any other person’s WhatsApp account. It is beneficial for mapping all the details like incoming and outgoing messages of any other person’s WhatsApp account. If you are looking for any application through which you can hack the WhatsApp account of any person whom you know, then this is the best option for it. However, before getting started you need to have that person’s phone to scan his/her web QR code of WhatsApp. Once you scan it, you will get that account activated on your Android device. This app has both Android and iOS version, and the best part is that you need not to root your Android device for the installation of this app. It is available for free to be used for hacking WhatsApp account. You can also use this app for using WhatsApp multiple accounts on one phone. PixelKnot, developed by The Guardian Project is an Android application which can be used to hide text messages using photographs and then share it via the internet. It is a powerful app for sending secret messages to your known ones with some codes or password. It is a simple and fun way to share secret messages across the web. There is no risk of breaking the code through any channel as there is no any chance to suspect on the photograph. NetCut is a free Android app developed by arcai.com which is used for the detection of the network used in WiFi. You can access the WiFi and enjoy using the internet even if your device has an invalid IP address and is not allowed to access the internet. This application is useful to look out the connected devices to your network and find their MAC address. You can also turn off and on the devices that are connected to your network. It is capable of setup any network which includes Xbox, softphone, PS3, PS4, etc. You can also go for its paid version for accessing its other features. Apart from the mentioned features, you can reassign the MAC address and control the bandwidth usage of your network using NetCut. This is actually a testing application to check the vulnerabilities of the user’s access point at any WPS protocol. You can use this app to check any network but it is suggested to be limited to your personal network. For using this application, you first need to root your device and then download and install busybox for accessing all its features. It used the WPS PIN to monitor the connection to AP. This tool is designed for Android smartphones which allow the user to convert the rooted device into any other device in a few seconds. There is no requirement of a reboot to do so. Using this app, you can install any software or apps that are restricted or blocked in your area. It is a wonderful app to be used for rooted devices. 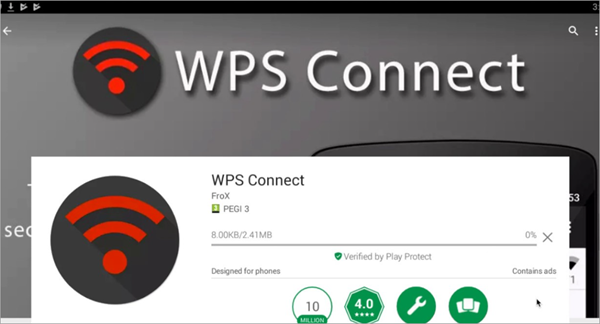 WPS Connect, an application developed by FroX, is very helpful to hack the WiFi networks having their WPS protocol enabled. It verifies the vulnerability of the router to any default PIN. You can check it and then you can proceed as per the condition to get connected to the WiFi network. It can be used to hack the WiFi network without paying a single penny. WiFi Kill is a wonderful app which you can use to kill any device connected to any network. It is widely used to disable the WiFi network present around the user. It is safe to use and is capable to acquire any network either free or paid. You can hack a user’s device easily connected to the network using this application on your Android phone. You can obtain the personal information of the owner of the internet connection through the modem. Moreover, it is used to detect the consumption of the traffic through the hacked device. You can also avail many other features using this application. You can easily check the browsing list of the connected website and do other interesting things. Use this application to explore the service more and hack WiFi on Android. You can download this application for any of your Android device of version Android 4.0 and later. WiFinspect is an amazing feature with many advanced tools which you can use to keep your WiFi secured and monitored. You can use this application for obtaining a clear vision to your WiFi network and get the real-time status of the network connectivity. This is a security app which you can use to keep track of the wireless network. Moreover, it ensures the high performance of the WiFi network. 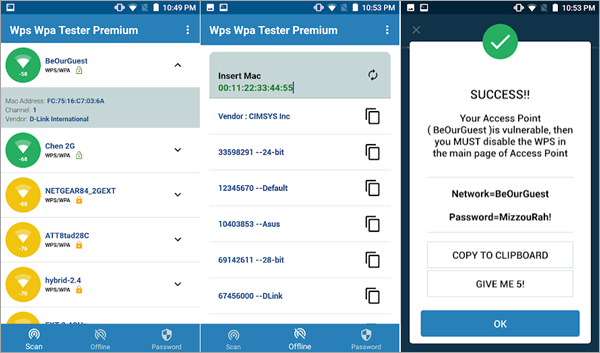 You can easily use this application using the Android device for keeping your WiFi network secured from any unauthorized access and other issues. It allows the user to troubleshoot the issues and error without any hassle. It is a simple application which you can use to inspect any WiFi network. 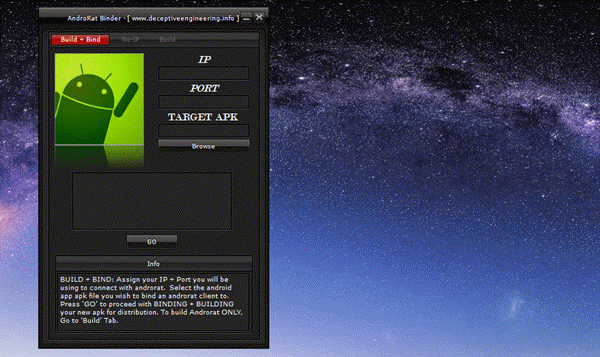 Arpspoof is one of the best Android hacking apps which you can use smoothly for your Android mobile phone. It helps the user to check the traffic of the network present around the user and use the tool for network auditing. After detection, the website simply reduces the traffic on any network by forwarding it to any other host by forging. It makes the network less crowded turning its data towards any other target which is present on the local network path. It provides the IP address of the gateway automatically to the user. You can start spoofing in a single click and get the traffic on the network redirected to any other target host. In this way, you can enjoy a less crowded network easily using this tool. 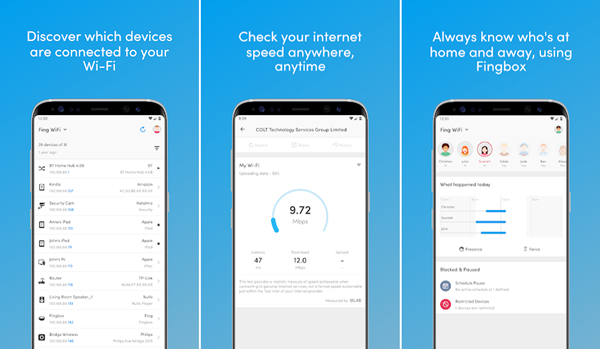 Network Discovery is a simple app which you can use to keep track and locate the status of your internet connectivity. You need not to root your device to get started with this application. This app allows the user to keep track of every information about the network to which it is connected. Details like IP address, device name, hostname, MAC address, operating system and service, open network ports, mobile security device and mobile compliance status can be detected with this Wonderful app for hacking Android. Moreover, all the information collected are kept organised and well-arranged with this site. You can also customize some settings of the network using it. Network Spoofer is a simple tool which you can use for the security of your network. You can use this application easily for your Android device to change the websites from another person’s computer. You can also know about the procedures and steps involved to hack other network using this app. It is very simple to use which requires only the login to any WiFi network. You can select any spot and use it to hack any home network. this Android-based application is safe to use and do not send any malicious or phishing element to the target device. However, never try this website to hack any non-residential network as it can become serious and troublesome. As the name suggests, you can easily use Wi-Fi Finder to locate any open or secured WiFi network available nearby. However, for this, you need to have a stable and strong internet connection. It is a wonderful application which you can use to analyse the type and quality of the network available around you. It monitors the local wireless network and helps the user to find out the details like call location, the direction of the hotspot, provider type and others. You can locate both free and paid hotspot network around you using it. It is helpful to identify and locate the network in a world full of the hotspot and wireless connectivity. 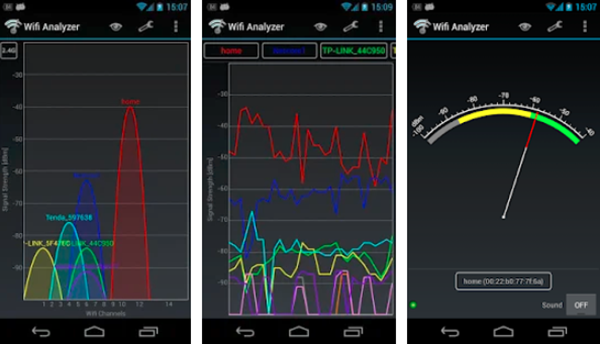 WiFi Analyzer is another Android hacking app which you can use to identify the WiFi network around the user. 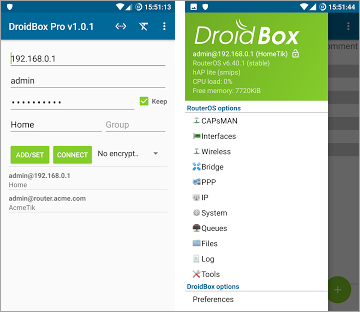 It allows the user to easily convert a simple Android phone in a WiFi network analyzer. You can look for all the WiFi network available easily on your homepage, and check its intensity and strength using the site. 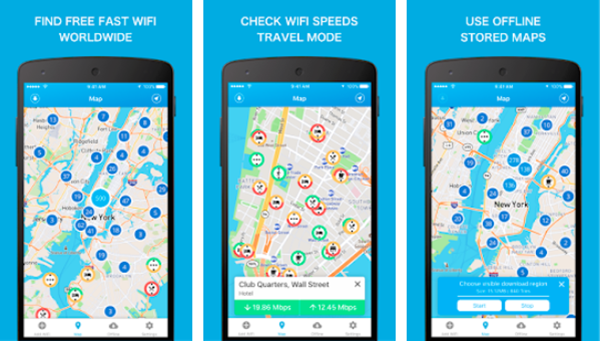 The application also allows the user to locate a network which has less traffic and can provide you with good speed. You can easily customize its settings for better results and take more from tools and features. WiFi You is a superb application which helps the user to hack almost all types of secured WiFi network easily. You can use this site to access a less crowded network. It enables the user to collect a big database of WiFi password and use it to get access to a stable network. There are no requirements of any pre-setup to let this app work. It is capable to detect and locate the WiFi network present around you automatically and select the most reliable network among them. There is no hassle for the user to connect with the selected WiFi network. Just click on the network and enjoy using an uninterrupted WiFi network. You can use Droid Pentest Update to get a list of all the Android apps for penetration testing. It has many advanced tools which you use to gather information about Android apps and plays an important role in Android security. You can perform a complete penetration test here using this site. It consists of many debugging attacks and sniffing tools which you can use to perform high-tech hacking techniques using this site. Droidsniff is an Android application which you can use to explore many tools and advanced techniques for the security of the wireless network. That means you can use your Android phone to keep your WiFi and the connected device information secured and safe. It protects the sensitive sites of your browsing list like Facebook, Twitter, Instagram, Bank account websites and others. You can put the host in the blocked list and enjoy the provided network for the unlimited data use. It is the only hacking tool which uses the email address for registration. This hacking app is widely used by the users for security purposes. This is an hacking app which you can use for games. 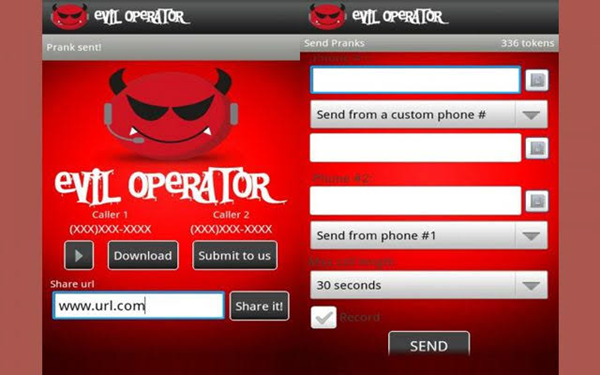 It is a fun making app which allows the user to make a fake call and send pranks through phone call. It has a simple and interactive interface. You can easily use this site for calling any person or create a fake platform while calling by making use of pre-recorded conversation for calling. This website helps the user to make use of the records of the conversation and use it again to fool people. It is a fun making site which you can use in various modes to find out the suspects and fake people easily. Tip: You can hack Android games with these tools for hacking Android games. Droidsqli is basically a SQL injection tool which you can download on your Android app. It is used to inject the SQL injection. You can easily hack the websites that are vulnerable to SQL using this site. This application is very easy to use and is compatible with both newbie and professional users. You can inject SQL to have any SQL based URL in a few steps. It is a simple website which allows the user to hack the sites using a mobile phone. It will be a wonderful website that you must use for hacking. Shark Reader is a simple reader app which you can use to read pcap files. However, it does not work well with large files. You can use this software for free on your Android device for system utilities. This hacking app is very useful tool for detection of instability and error. It is also used to track the device error in no long time. SMS Combo Ultra is another wonderful app which you can use to send SMS to multiple contacts easily using a single button. It is used by millions of users to send multiple messages together. With its simple and easy to use interface, you just need to select the contact and types the message. Then, click on “Send SMS” and hence the SMS is sent to everyone whom you want to send. It is used for sending multiple messages to multiple recipients in a very quick time. It is also helpful to split the messages by word by word or letter by letter. This application is mainly used for inviting people. So, make sure not to spam anyone using this app. Apart from inviting people together, you can also use this app for winning any quiz or TV bonanza contest quickly. SSLStrip is an application for Android which is used for the extraction of sensitive credentials to break the SSL protection over any site. It can only be used on a rooted Android device. It uses HTTPS stripping method for hacking websites and to break its protecting shield. It is a powerful tool which is used by more than one million people from all around the globe. 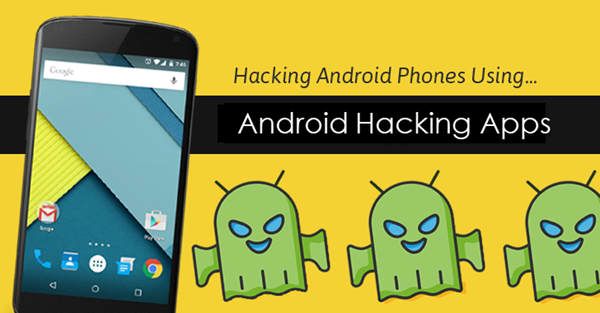 You can enjoy hacking by simply downloading this site on your Android device. You can use USB Cleaver to get the information and data from a computer. It is widely used to stream the password from computers and use them to use another person’s account. You can use this application for Windows 2000 and later version. It is a wonderful application which you can use to acquire information from any computer with no hassle or trouble. It is simple and easy to use application. It allows the user to enable or disable the type of payloads which the user want to use. 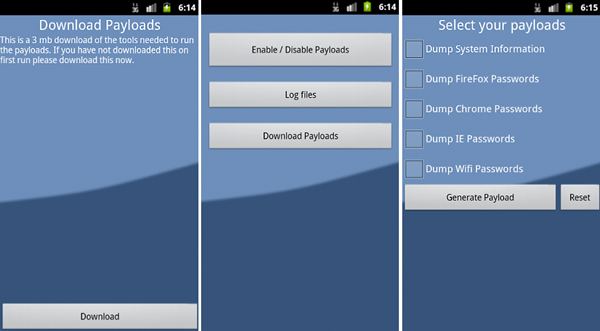 This Android-based application keeps all the stolen data secured in a zip file. It is a wonderful app to use but can affect the user’s device as well. WhatsApp Sniffer is one of the widely used WhatsApp sniffer tools for Android devices to hack the WhatsApp and obtain all the private chats and shared media. To use this app to start hacking the WhatsApp account, you need to have stable and good internet connectivity. You can use this website without any hassle and start acquiring the information in a downloaded format. Using this versatile app, you can easily keep your eyes on anyone’s personal WhatsApp account. It has many advanced tools which are helpful even to break the encrypted security of the WhatsApp conversation. However, make sure that the target device is also connected to the same WiFi network for hacking. WIBR+ pro is another amazing application which enables the user to enjoy hacking using an Android device. It is a password hacking application which will help you to break the security of the WPA/WPA2 PSK WiFi networks. It works on brute-force attacks and helps the user in the detection of wireless penetration on a network. In this way, you can easily hack any WiFi password using any version of Android device. However, it takes a longer time to jack any WiFi password and get access to any other person’s mobile hotspot. You need not to root your device to use this application on the Android device. These are the 40 best Android hacking apps in 2019. Above we have mentioned each application with description along with their downloading links, so you can easily get them to hack app data on Android and hack Android games. All the above application has clean and clear interface without any disturbance. You can choose the best application according to your need and download it. Please also comment down your favourite application in comment section. If you have any question you can drop in comment box.